This stylish and very comfortable baby carrier is suitable from birth to 12 months (3.5kg to 9kg). 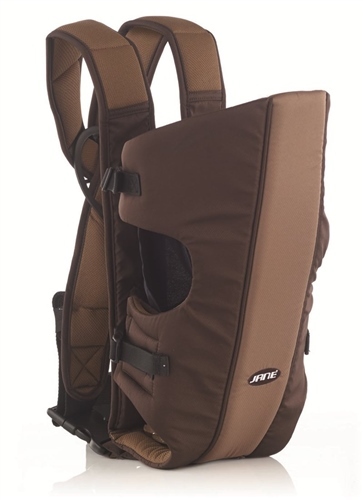 Also this baby carrier has the advantage of being able to accommodate your baby in 3 different positions: either facing inwards, outwards or as backpack. Tidy wrap for extra strap.